This is a 1931 ad for a Reo Flying Cloud Eight Five-Passenger Sedan! The size of the ad is approximately 6.5x10inches. 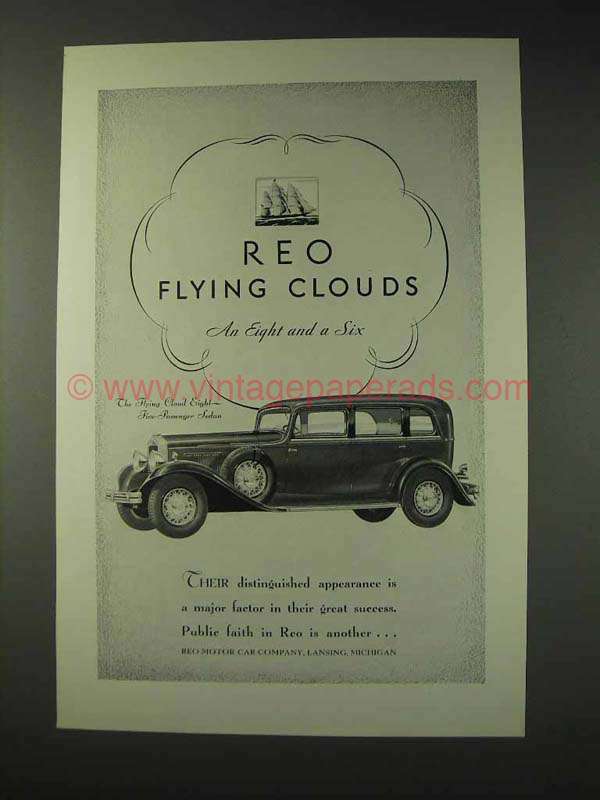 The caption for this ad is 'REO Flying Clouds An Eight and a Six' The ad is in great condition. This vintage ad would look great framed and displayed! Add it to your collection today! 1913 REO the Fifth Car Ad, What Engine Did! !